Many thousands of trade shows are held in the United States each year. They range from “monster” events like the Consumer Electronics Show which brought more than 150,000 attendees to Las Vegas earlier this year, to much smaller “tabletop” shows which might be sponsored by a local/regional trade association or even a Chamber of Commerce. Large or small, trade shows provide an interesting marketing opportunity by bringing buyers together with sellers in a structured environment. The buyers come to buy, or at least to learn. The sellers come to sell, or at least to plant seeds that might result in a sale. Sadly, though, many sellers are disappointed in the results they get from participating in trade shows. Why is that? The problems seems to fall into three areas: poor planning, poor attendance, and poor follow-up. Of the three, poor attendance is the only one which is not directly attributable to the seller/exhibitor. In other words, if you’re not happy with the results you get from exhibiting at a trade show, it’s probably your own fault! In our next few posts, we’ll talk about better planning and better follow-up. For today, here’s a thought on how a seller/exhibitor can promote better attendance. It’s pretty simple, really. Don’t leave it all up to the show promoters to bring people to the show. Do invite all of your own customers and prospects to attend. 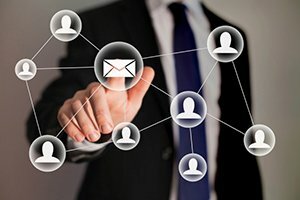 Direct mail and social media provide two prime avenues for this invitation process, and your website provides a third. In addition, is there any reason your salespeople can’t issue personal invitations by phone or e-mail or on sales calls? The more effort you put into the invitation process, the more likely it is that you’ll be happy with your results!